Firenze and Scandicci occupy distinct places in A1’s standings. While the first is in 8th place, struggling to keep itself within playoff contention, the latter sits comfortably in 3rd place. This, however, did not stop both teams of enjoying a friendly practice session as A1 had a recess due to the Italian Cup finals, recently won by Novara. In addition to their joint training period, a friendly game was also played. In all, both teams played 4 sets in front of at least 100 spectators. Both teams participated with full rosters, as both coaches had the chance to try out different formations without the hassle of rules and refereeing. At the end of it all, Firenze came out with the win 3-1 (17-25, 25-22, 22-25, 18-25). 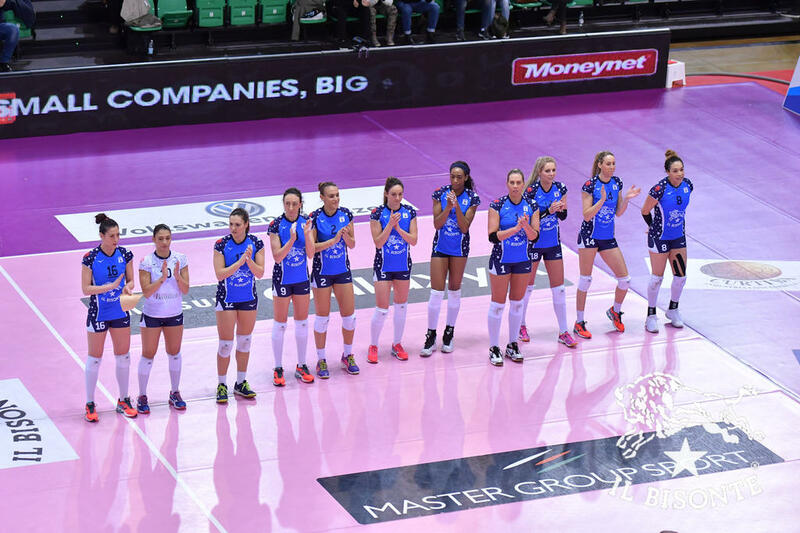 This friendly match was useful for both teams, as the tournament pause is indeed long, and now they will be more ready and in better form for their next games, when Scandicci will go head to head with Conegliano, and Florence will battle it out against Modena. With so many reports of violence among teams and fans, it sure is a pleasant change of tone when we see teams at elite leagues exchange pleasantries like this. For a similar story on VolleyMob, click here.